When fishing for floating mobsters, it should always be HIRES. 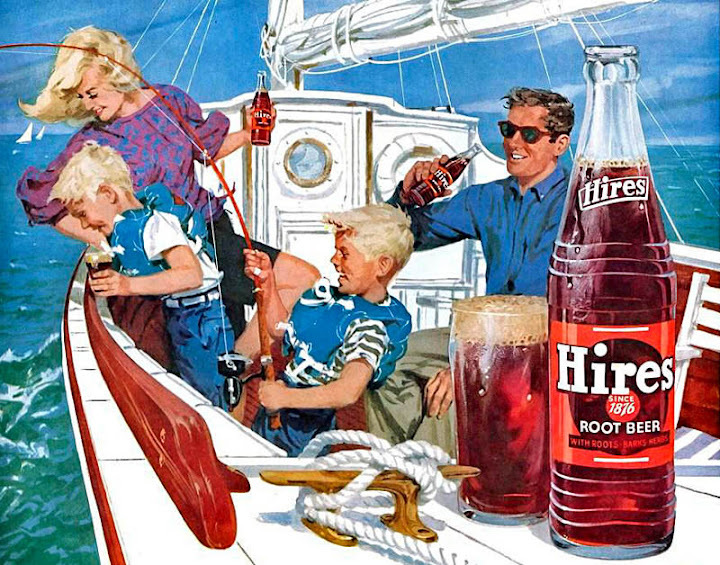 Hires....the beverage that makes even a day trip with your parents fun. Honey, you seen the cat lately? Since you didn't bring beer he stayed home. Drink Hires! The root beer renowned for its employment policy! I hate my wife and kids with a passion, but one gulp of a tall cool Hire's makes me forget they were ever there! Hires, the perfect bait for catching fat chicks!